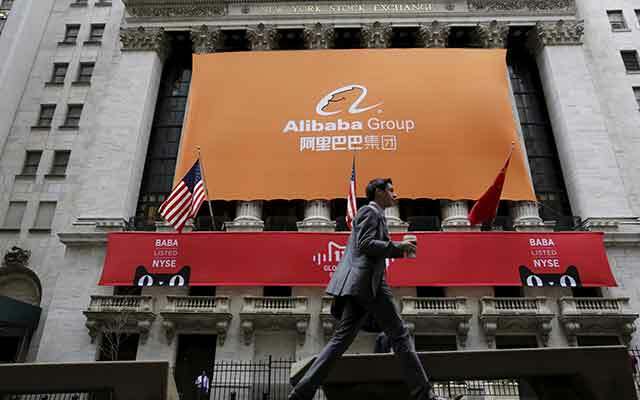 Chinese e-commerce titan Alibaba Group Holding Ltd seems to be fixated on acquiring interests in Indian e-commerce majors, especially those that directly compete with its global rival Amazon Inc.
After backing Snapdeal and Paytm, recent news reports suggest that Alibaba is making a beeline to invest in the country’s largest e-commerce player Flipkart. The news report suggested that an eventual deal between Alibaba and Flipkart depends on Flipkart’s willingness to offer stake at a discount to its current valuation of $15 billion. Both Flipkart and Alibaba did not respond to a Techcircle.in query for more details. Some industry watchers feel that Alibaba wants to ride the Indian e-commerce juggernaut and is looking for quick returns from its financial investments. Another school of thought suggests that Alibaba could look at driving consolidation in the Indian e-commerce set up. “It's too much of a stretch to say this today, but I wonder whether Alibaba's interest in Flipkart, Snapdeal and Paytm could one day be the driver of some kind of an alliance / merger between these firms,” said Ajeet Khurana, an entrepreneur-turned-angel investor. Agrees Arvind Singhal, chairman, Technopak Advisors. “I personally feel that Alibaba would invest in Flipkart only if it sees the probability of a merger happening between Snapdeal and Flipkart. Alibaba is not a private equity firm to make an investment and hope to make a profit out of the whole thing. I don’t understand why Alibaba would bet a lot of money on portfolio-type investment,” he added. Snapdeal was the first e-commerce titan to catch Alibaba’s attention. Snapdeal secured $500 million from iPhone manufacturer Foxconn, Alibaba and existing investor SoftBank in July last year. Interestingly, Alibaba's top shareholder is Japanese internet conglomerate SoftBank, which is also the lead investor in Snapdeal. SoftBank alone pumped nearly $657 million in the online marketplace last year, becoming the largest investor in Snapdeal. And Alibaba’s financial arm Ant Financial, which runs the Alipay online payment platform, is an investor in Paytm’s parent One97 Communications Ltd.
Paytm had raised an undisclosed amount in a fresh round of funding from Alibaba and existing investor Ant Financial in September 2015. Ant Financial, a privately owned group firm controlled by Alibaba founder Jack Ma, had initially invested in Paytm in February along with SAIF Partners. Angel investor Sanjay Mehta believes that Alibaba wants to make life difficult for Amazon while ensuring that the entry barriers are too high for a company like Rakuten, the Japanese e-commerce major. “When companies like Amazon and Alibaba take pole positions in a market like India, there is little room for a third global player,” he says. While Rakuten has a development and operations center in Bangalore, it does not have an India-specific site yet. “Rakuten will have to build the business ground up if Alibaba puts money in Flipkart too,” Mehta said. Amazon, which compete with Alibaba for global supremacy, has been growing at an aggressive rate in India. Amazon.in was the top e-commerce site throughout the fourth quarter, which included the busy Diwali shopping season, according to analytics firm comScore. According to App Annie, Amazon.in’s app downloads grew over 3,200 per cent in the 12 months till October 2015. Amazon’s India e-tailing platform saw a 250 per cent growth in its seller base. Its storage and fulfilment capacity in India saw a three-fold rise with 5 million cubic feet of storage capacity and 21 fulfillment centres, respectively. In July last year, Jeff Bezos committed an additional $5 billion investment into India. This was in addition to the $2 billion committed earlier.